In our series of Buyer Guides, here’s the latest update to our recommended CPUs list. All numbers in the text are updated to reflect pricing at the time of writing (7/6). Numbers in graphs reflect MSRP. So far the first half of this year has been mildly insane. Back in 2016, we had the best part of 1.5-2 platform launches and it was a quiet year on the CPU side. So far this year we have had three or four launches, with another few in the pipeline to come. With Kaby Lake, Ryzen 7 and Ryzen 5 out of the way, in comes Kaby Lake-X and Skylake-X to the party, with Skylake-SP, ThreadRipper, EPYC and potentially more still on the invite list later this year. As much as I love writing about CPUs and testing the newest hardware, sometimes a doorman needs a rest (ed: 2018… maybe). For consumers, it can be a fun time. With new platforms comes an opportunity to upgrade, either through the increase in performance or just because you want the latest and greatest. The idea is that the newest processors are more performant, or lower power, or fit into a particular niche better (and hopefully are the same or lower cost overall). For users who wanted to invest in AMD this year, Ryzen has been a good offering and ThreadRipper is around the corner. For users looking to upgrade that i7-2600K or i5-2500K, Intel is trying hard to tempt them with Kaby Lake processors and even Kaby Lake-X, with the best part of 25-35% IPC and some extra MHz as well. For anyone that wanted a 10-core CPU and thought $1721 was too much for the i7-6950X, Intel has you covered with the Core i9-7900X at $999-$1049 now as well. In the pipe coming in the next few weeks include our Kaby Lake-X reviews (unfortunately one of our CPUs died, hence the delay), as well as retesting Ryzen with the latest updates, Skylake-X on gaming, and a few more projects underway. One of the overriding issues so far this year worth mentioning is platform maturity. 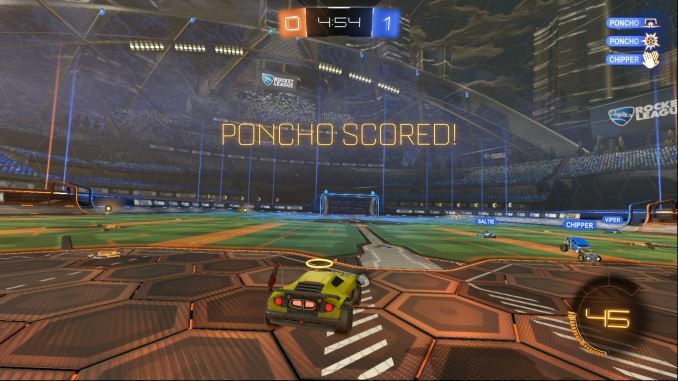 With new platforms come new challenges, and as far as we understand, extreme deadlines. Motherboard manufacturers, for both AMD and Intel, have had to rush through some of the production of their initial motherboards at launch. When we reviewed Ryzen 7 and Kaby Lake-X, both of those reviews did not have gaming results due to erroneous results on young hardware. At this point we expect both platforms to be running smoothly, but as an indication that this year is about time to market, it’s a big one to note for early adopters (and reviewers that end up wanting to throw products out a window). In our CPU Guides, we consider certain environments and budgets and give you our pick of some of the best processors available, supplying data from our Benchmark Database where possible. 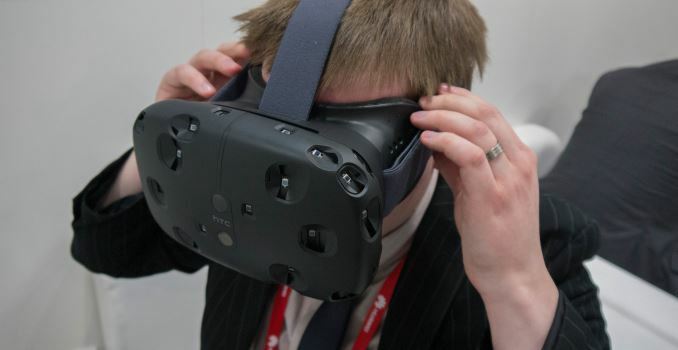 In the midst of the launches this year, the talk of CPUs that are suitable for Virtual Reality has died down to some extent. Now that AMD has parts on the shelf that are unquestionably suitable, it just comes down to what price a user can enter into VR, or at what level a user can be future proof as VR gaming becomes more demanding. Even with this is mind, a non-VR gaming machine that wants to be ahead of the curve has similar demands, especially as DirectX12 titles are in the pipeline. Single thread performance still helps here, especially for the simpler casual games and driving high frame rates. 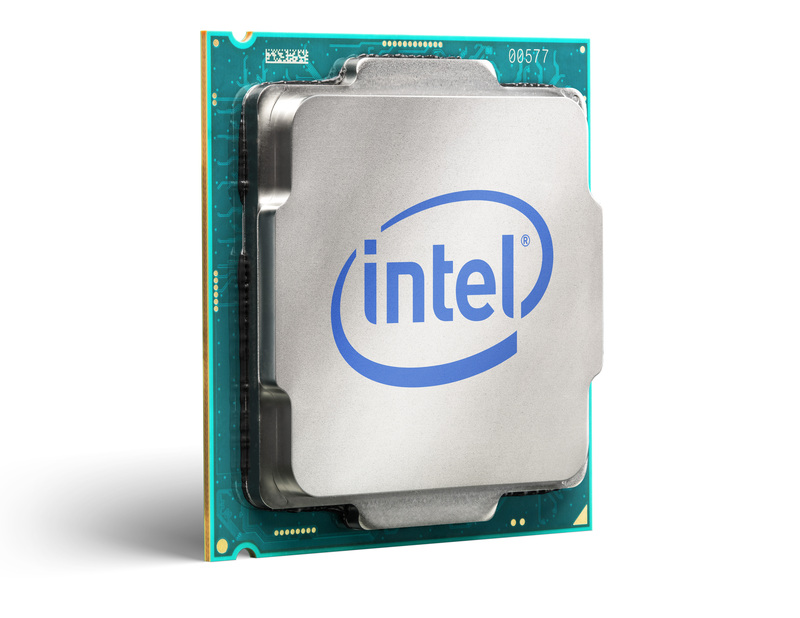 The new king of the crop is the Intel Core i7-7740X. It boasts the highest per-core performance of any x86 processor, and then heaps on a lot of frequency as a result. A good processor will run up to 5 GHz with a nod for overclocking, giving a user the best premium VR experience today. At $350 list price, plus some more for a good cooler and a decent motherboard, it should provide a premium gaming system for several years to come when a user wants the Peak experience. If you want to go through AMD, then the Ryzen 7 1700 is a good option here at $329 (currently $297). It doesn't quite match the single threaded performance of the Intel CPU, but offers double the threads which will be more important as games get more complex. A good 1700 can also overclock near to 4.0 GHz, saving some money over the more expensive 1800X, which is $499 (currently $420). 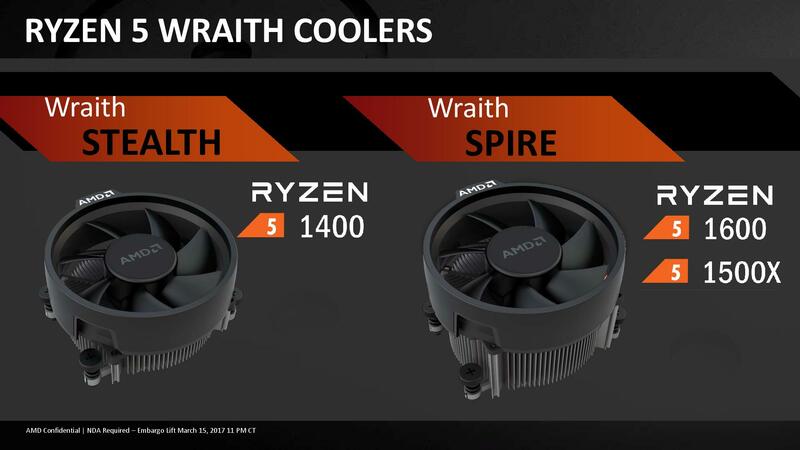 As an added benefit, the price of the 1700 also includes AMD's Wraith Spire stock cooler, suitable for high ambient environments, and has RGB lighting. For users looking for a nicer price on their wallets, moving slightly down the stack can retain most of the expected performance and retain some significant savings. It won't give you the premium frame rates, but the cost savings can easily be justified for user budgets where it could mean the difference for the next GPU upgrade. For this segment from Intel I've chosen the Core i5-7500. Currently available for $204, it provides four full cores at 3.4 GHz with a turbo up to 3.8 GHz, but also has 6MB of inclusive L3 cache. With no hyperthreading, each thread gets the full use of all the cores resources, ensuring fewer potential bottlenecks. The Core i5-7400 would be another option, however the difference in frequency (400 MHz base, 300 MHz turbo) in favor of the i5-7500 is worth the $10 difference. The i5 will happily power the biggest GPUs on the market, only breaking a sweat with the most demanding titles at extreme settings. Launched in Q2, the answer here is in AMD’s new Ryzen 5 1600. The 1600 is a six-core processor with hyperthreading, giving a full twelve threads, and again can be overclocked to near 1800X speeds. Back in Q1 we suggested the 1600X, but the 1600 shaves a few hundred MHz off by comparison and adds in the AMD Spire cooler for a $30 decrease. With AMD’s coolers performing very well in our testing, the extra $$ is better spent on the GPU. Again, starting with Intel, I've pulled out the Core i3-7100 at $117. This is a dual core part with hyperthreading, running at 3.9 GHz. At that frequency it rises high up the charts for single thread performance, nearly matching the vastly more expensive Core i7 and Core i5 overclockable processors. For DirectX9, DirectX10 and DirectX11 games, where single thread performance helps drive a good GPU, something like the i3-7100 can provide best-in-class results. For this segment, AMD does not have much to play with right now. The cheapest Ryzen 5 processor, the Ryzen 5 1400, is at $169 – we know AMD has upcoming Ryzen 3 processors, but at this time they are not released and prices are unknown (even if specifications are known). So at this level of performance AMD's strength is price, so as the FX CPUs are being sold at low cost, something like the FX-6300 on sale and a cheap AM3 motherboard can be picked up for very little. The FX can't compete on single threaded performance with Intel, but by having three modules and six threads, it might be happy when users require multitasking during their gaming, such as watching video on a second monitor or light streaming with eSports. Starting with Intel again, and to be honest they have recently launched somewhat of a surprise processor for this market. The Pentium G4560 is essentially a Core i3 by any other name, given it has two cores and four threads, but a slightly reduced L3 cache. The G4560 has a list price of $64 (retails at $78) and runs at 3.5 GHz - that's a dual core Kaby Lake processor only 900 MHz off of the top Core i7 for less than one-fifth of the price. 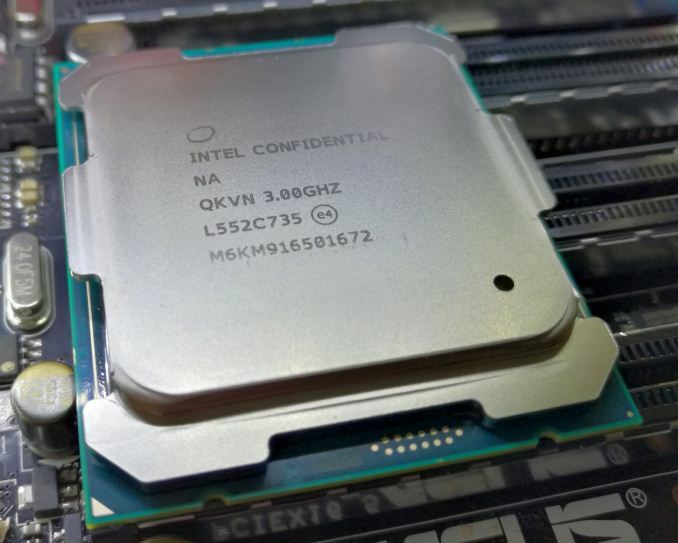 Previous Pentium processors did not have hyperthreading, but this one does - Intel hasn't given any specific reason for the change, but it's one we will gladly take. Intel's Pentium is hard to beat in so many ways, and AMD does not particularly have an answer. The nearest thing we can get to it, until we see what price points Ryzen 3 will hit, is the Athlon X4 860K. This is one of AMD's APUs with the GPU disabled, but also comes with AMD's 95W near-silent cooler, and only for $55. Since the 860X was launched, the newer parts use the Excavator design, there's still a sizeable jump north of 40% performance gap that Intel can take advantage of. The upside here is perhaps the motherboard could be cheaper when going AMD. Not many users take the line of integrated graphics because GPUs like the RX460 can be relatively cheap (when people aren’t mining) and usually outperform what is on offer. Nonetheless, almost all mainstream CPUs come with integrated graphics for several reasons: invest now in a good CPU then later in a GPU, or the amount of space limited in the system is small, or features such as QuickSync or OpenCL are needed for the user workloads. The champion of this world is the AMD A10-7890K. 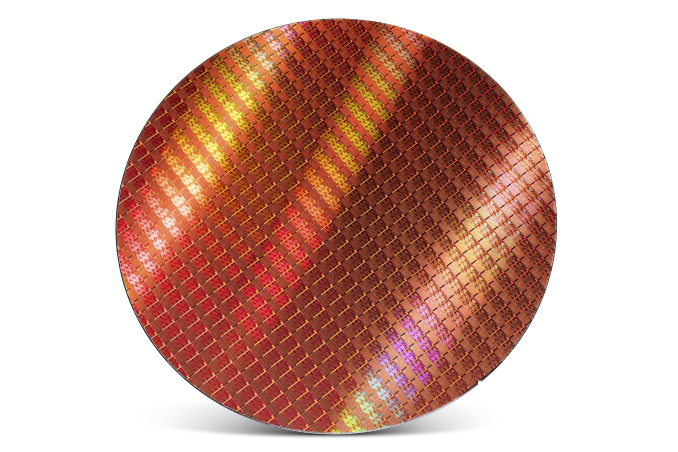 Technically Intel has higher performing parts in Broadwell-based eDRAM processors, but these are 3x the cost and difficult to find anywhere due to the limited launch. AMD's A10-7890K thus sits at the top of that stack, more than suitable for eSports such as League of Legends, DOTA2, CS:GO or Rocket League at very honest settings. Users who still need to save a few $$ from the A10-7890K can look the A10-7860K instead. This APU offers a small step down in performance, but was one of the last A10 parts produced fully aimed at PC builders trying to hit the performance/price metrics. Technically AMD has Bristol Ridge parts that are newer than the two A10 processors mentioned here, that can be combined with an AM4 board for the best results. Unfortunately these CPUs are still waiting a retail launch, having been available for OEMs for a number of months. We are promised a launch later this year, although that time frame is still to be decided. There is also talk about when AMD Zen based APUs will hit the market, although they will be mobile first. This is a market to where Intel does not have anything on known roadmaps that can compete. Sometimes all you need is raw CPU power. Whether it is rendering, compute, encryption, or a varied office or enterprise load, CPU performance is king. This is where the worlds of the mainstream processors and the high-end desktop collide, given that the high-end usually gives more cores and more performance, but the price rises faster than you can think. Finding the right balance is key, especially when a user can potentially justify spending above the odds if it means processing their clients faster. For this segment, AMD recently blew the doors wide open. 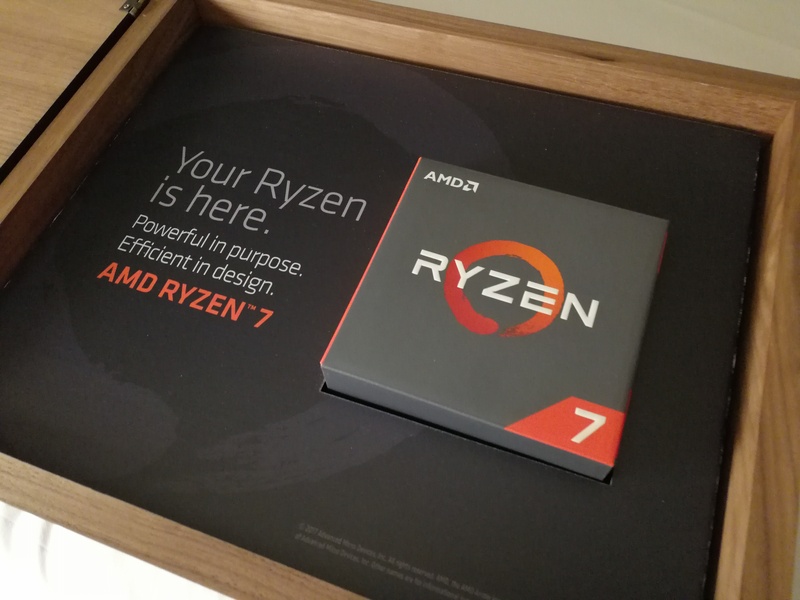 With the launch of Ryzen 7, in software that likes to scale across cores and threads, the Ryzen 7 1800X was the winner. With its eight cores and 3.6G/4.0G arrangement, at launch it matched Intel's latest (at the time) 8-core part at only half the cost: $499 instead of $1049, and currently the Ryzen 7 1800X retails for $420. If what you need is pure horsepower, the Ryzen 7 1800X is the processor to get. While the Ryzen 7 1800X is fun, it is actually the lower ranked Ryzen 7 parts that are better for performance per dollar. The Ryzen 7 1700 has a slight performance deficit to the 1800X, by virtue of being 3.0G/3.7G rather than 3.6G/4.0G, but it comes in at only two-thirds of the price. At $329 (currently retailing for $297), and coming in at 90% of the overall performance of the 1800X, the 1700 is a better choice for workstation users that still look to save a few pennies. For workstation users that can afford a budget, or want to focus on AVX workloads, Intel’s latest Skylake-X launch has the CPUs you need. 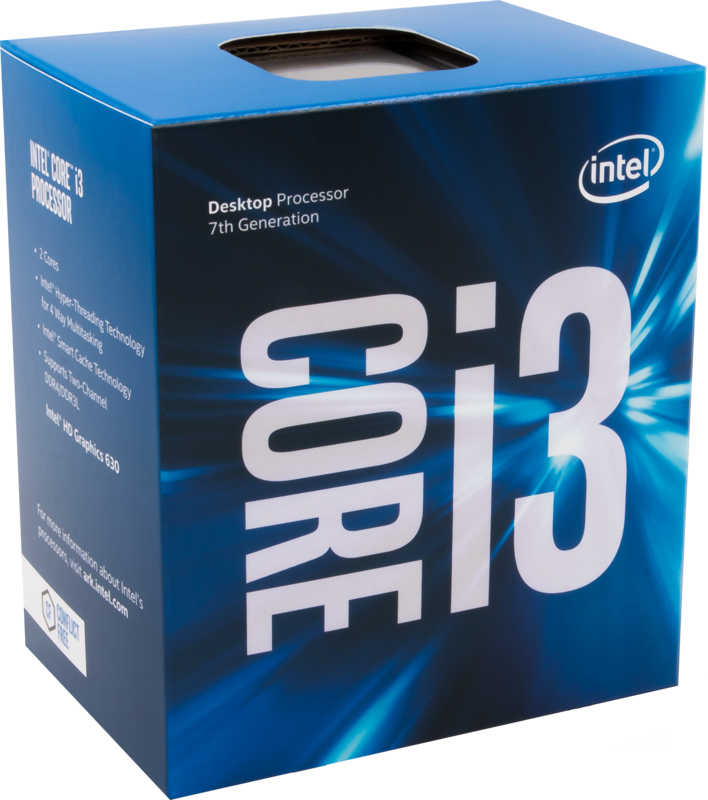 The three CPUs were a six-core for $389, an eight-core for $599 and a 10-core for $999 using list prices. Our pick here is for the latter two, and starting with the octo-core Core i7-7820X. This chip has the highest base frequency (3.6 GHz), matches the turbo clock (4.3 GHz) and is basically $75/core. 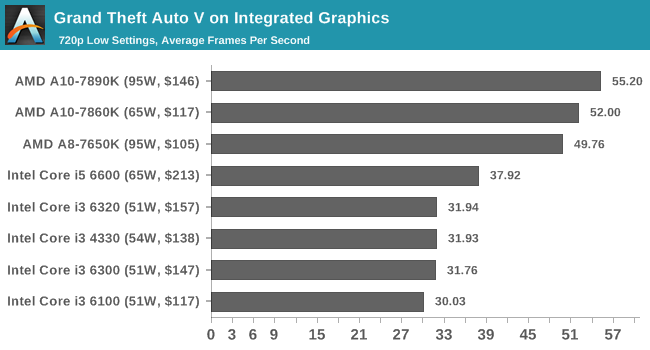 It’s a bit of a step up from that to the 10-core Core i9-7900X, at $999 (or $100/core), but the benefit here is the Core i9 has double the AVX512 FMA engines, such that users needing pure AVX throughput can be better supported under the Core i9. It’s worth noting that our one-to-watch processor, the AMD ThreadRipper parts coming at 16-cores, would fit in here. We await the launch and the ability to run benchmarks with bated breath. One of the downsides of the Ryzen 7 CPUs is that they only have dual channel memory controllers. At two modules per channel, that leads them to 64GB for maximum DRAM capacity. Sometimes a workstation needs so much more, and that is where the only direction to turn is Intel, but there will be a platform premium on CPU and motherboard as a result. Intel has a few options, and users willing to trawl through the second-hand market can find some HEDT bargains, but for users buying new there are a couple of options. First up is the Core i7-7800X, which is Intel's low-end HEDT part from the latest launch. This is a six-core processor on Intel's Skylake-SP microarchitecture, with 28 PCIe 3.0 lanes, but will run up to 128GB of un-buffered memory. It runs close to AMD's Ryzen 7 1700, but in exchange for two cores the user gets double the memory capacity and a few more PCIe lanes. It is worth noting that the cheapest platform cost for this CPU, the X299 platform, will also be higher than the cheapest AMD variant. The alternative to the Core i7-7800X is the last generation’s Core i7-6800K. With this chip being slightly older, and using the older X99 platform, it might be more cost effective to go after this chip, which also features six cores and 28 lanes of PCIe 3.0, but can also support 128GB of un-biffered DDR4. 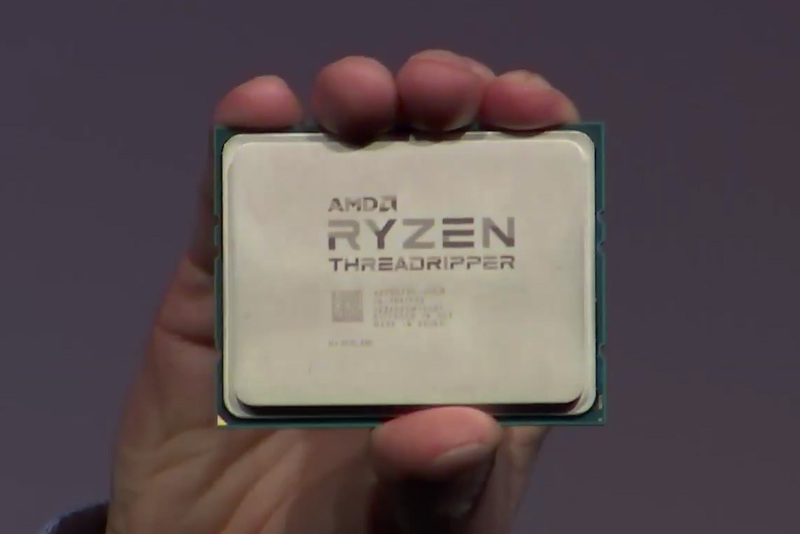 Again, the one to watch here is AMD’s Threadripper, which is set to offer four memory channels and support for 128GB of DDR4 as well, and even AMD’s EPYC CPUs which can come in as low as $450 but offer eight memory channels at 2DPC, giving 2TB per socket with the more expensive DIMMs. There are two big parts on the horizon that need discussing. The first is one I’ve mentioned a couple of times above: AMD’s ThreadRipper. Initially, Ryzen with 8-cores was listed as competing against Intel’s High-End Desktop (HEDT) processors offering 6-10 cores. AMD ThreadRipper is set to launch with sixteen cores putting it as a super high-end desktop (SHED) part. With sixteen cores, 60 PCIe lanes for GPUs, four memory channels and full on PCIe 3.0 support, if the pricing model is advantageous, there could be a lot of interest. An equivalent EPYC 16-core chip was announced a couple of weeks ago at around the $750 mark with lower frequencies, so this could easily be a ballpark for the base ThreadRipper chip. Even at $999, AMD’s 16-core would compete against Intel’s 10-core, trading single thread performance for cores. 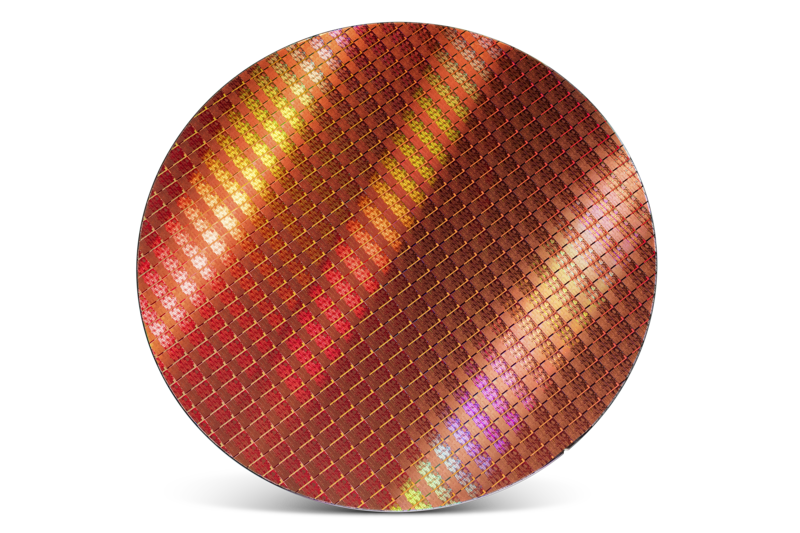 To counter AMD’s 16-core efforts, Intel this quarter announced the second stage of Skylake-X processors to come to market. By using their high-core-count silicon from the enterprise side, Intel expects to offer up to 18 cores for consumers by the end of the year in the Core i9-7980XE for $1999. We haven’t been told frequencies yet, but at 165W we can expect speeds in the 2.5-3.0 GHz range, although Intel is allowing overclocking. Simply put, there’s still a lot to look forward to this year. Aside from these two, Ryzen Mobile is set to launch in Q3/Q4, along with Ryzen 3 and Bristol Ridge, and rumors have been floating that Intel might have a Coffee Lake up their sleeve before the year is out. As always, Intel doesn’t comment on rumors.